Our “Coolest Summer Ever” at Disney Parks just kicked off moments ago here at Magic Kingdom Park. Thousands of guests were ready and waiting to celebrate with 24 hours of theme park fun, arriving at the park entrance before sunrise. 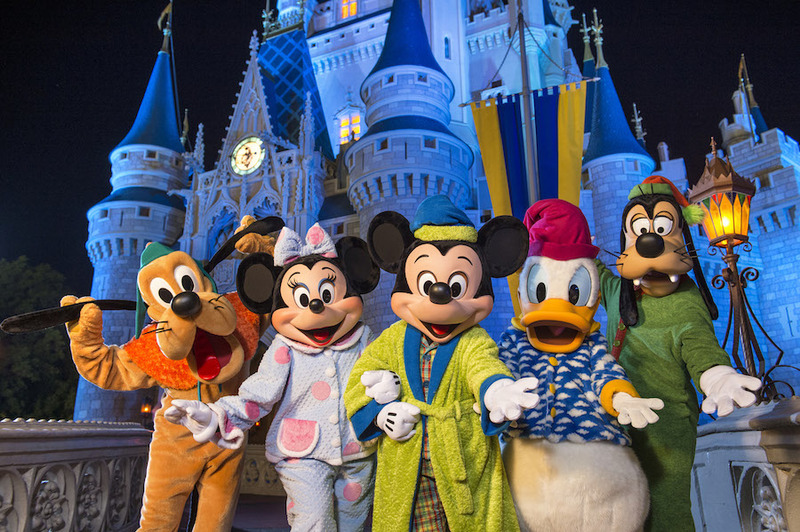 They were treated with a special welcome by the Mayor of Main Street, U.S.A., and Disney characters dressed in their pajamas. Our team couldn’t be more excited to share the highlights of the day with you, plus the fun we aim to have in the park today. Disney Parks Blog author Nate Rasmussen is ready to taste as many park treats as he can in 24 hours, while Steven Miller is taking on the challenge of riding all four Disney “mountains” today. And very shortly, our entire team will celebrate today’s release of “Tomorrowland” with 500 Disney Parks Blog readers. Don’t forget that you can watch all the fun at both Magic Kingdom Park or the entire 24-hours via our live stream here. If you were spending 24 hours at Magic Kingdom Park, which attraction would you head to first? Tell us in the comments section below!